Home > Blog > Ever dreamt of staying in a tree house? If it were up to to us, staying in a tree house during your winter holiday would not much longer be a dream! The denial of nature by man is a theme that has dominated the 19th, 20th, even the 21th century to the great extent. Recently however, due to climate change, awareness, and a heightened believe in environmentalism, there is a slowly rising turnaround in our society. It seems we are beginning to understand that it is better to work with nature instead of against it. The creations coming forth from this venture turn out to be a feast for the eye and to appeal to everyone’s inner child, definitely a win win situation! The design of young architect Konrad Wójcik is a perfect example of this collaboration between man, design and nature. For a design competition, he conceived a Tree house in perfect symbiosis with nature. 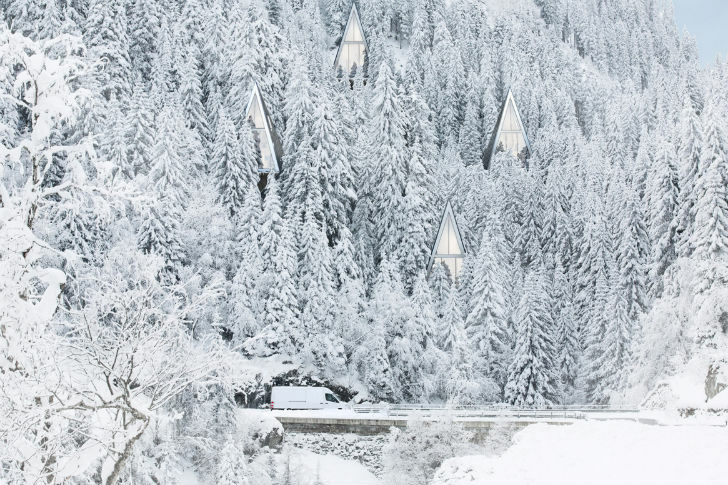 Can you imagine yourself staying in one of these amazing cabins? We can!